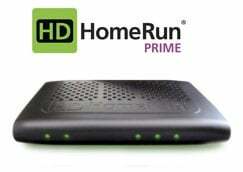 The HDHomeRun Android app supports both Viewing and Recording in a single app. 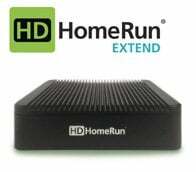 In order to enable HDHomeRun Record users must be an HDHomeRun DVR subscriber and have compatible hardware. 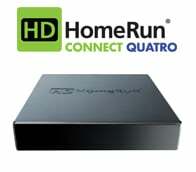 The HDHomeRun RECORD engine does the recordings for the DVR – it should be installed on one box that is to be used for storing recordings. Typically this will be a NAS box or a PC. If you are using a NAS box or a PC for recordings do not install the record engine for Android, you should not enable DVR on the Android app. This is only if you do not have any other device handling recordings. Nexus Player is not recommended (no Ethernet, no USB 3.0). FireTV is not supported at this time (no exFAT/NTFS support). You need to activate your DVR software, if you haven’t already done so. Visit the Shop. Purchase the DVR Activation. When you get your receipt, it will include a link to activate your DVR. Click that link. Fill in the email address and activation code also found in your receipt. You do not need to activate more than once per household. If you need to re-activate, search your email for “Your SiliconDust SHOP order receipt” which will include any necessary links and codes. WARNING: Android will automatically delete your recordings if you use Android for recordings and you uninstall the HDHomeRun app. This is an Android policy and not under the control of Silicondust. Q: Can I set the USB hard drive as “internal storage”? Q: Can I use a USB thumb drive or an SD card? A: Not recommended. Flash storage frequently has very poor write speeds and may have unpredictable performance. Q: Can I run an external USB on the Shield Pro? Which drive will it save to? 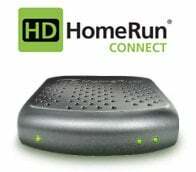 Q: Will HDHomeRun RECORD wake the NVIDIA Shield Console for a scheduled recording? A: Yes; however, if the Shield console is powered off it will not record. Q: Will I be able to access recordings from the Shield console like I do now with my NAS (or my PC)? A: Yes, you will be able to access recordings on your LAN as you do with your NAS (or PC). Q: Can I run HDHomeRun RECORD and my NAS together? A: No, the RECORD engine should be running on only one device.